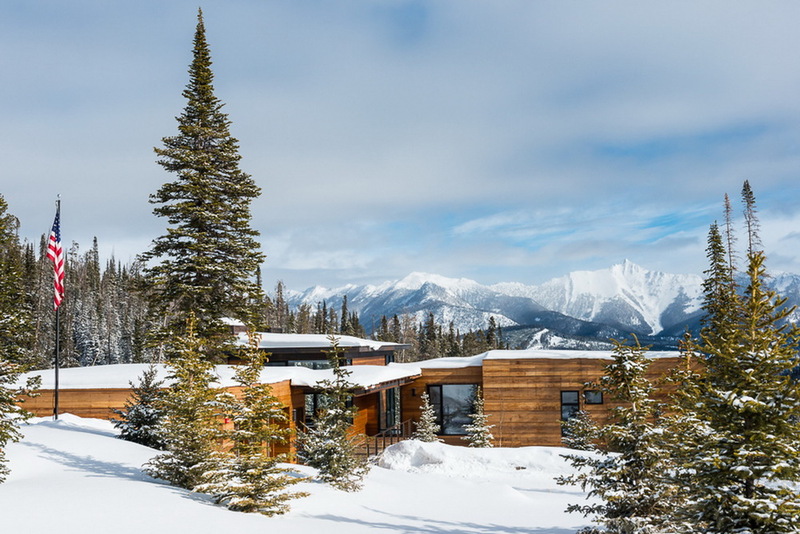 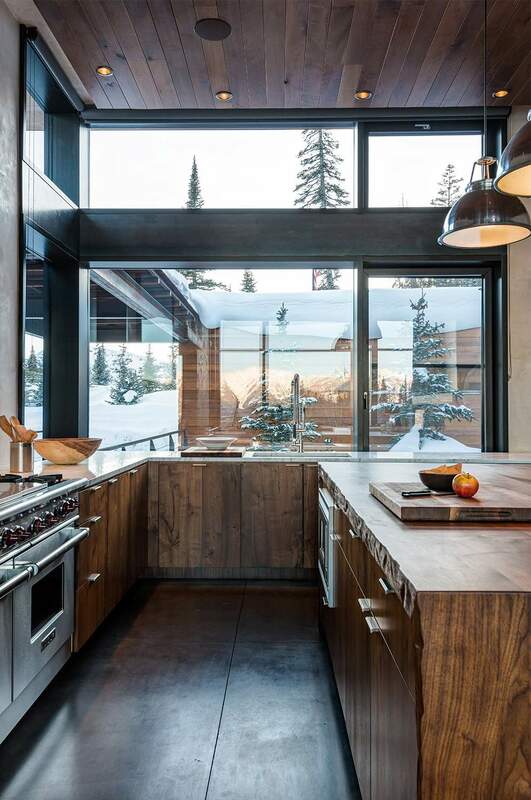 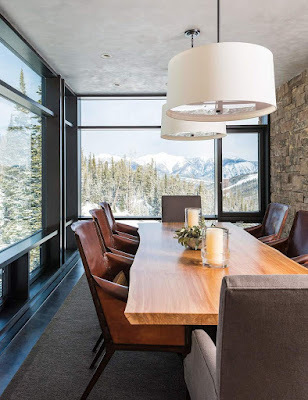 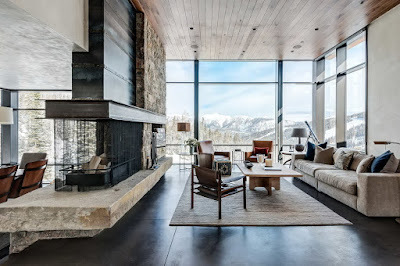 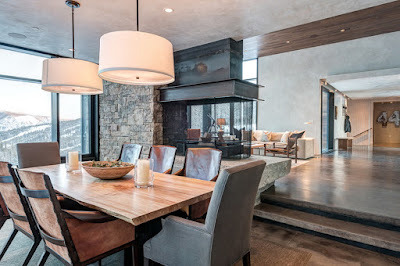 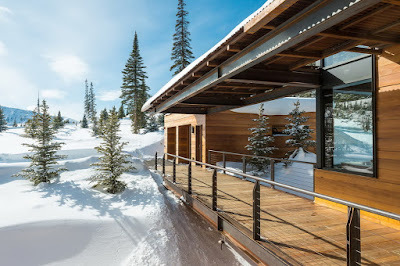 Couldn't resist sharing this fantastic Montana home - what an incredible setting! 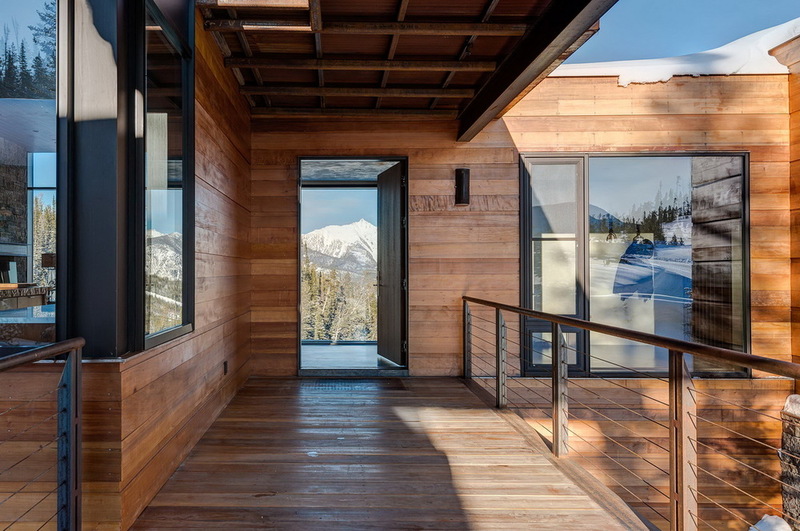 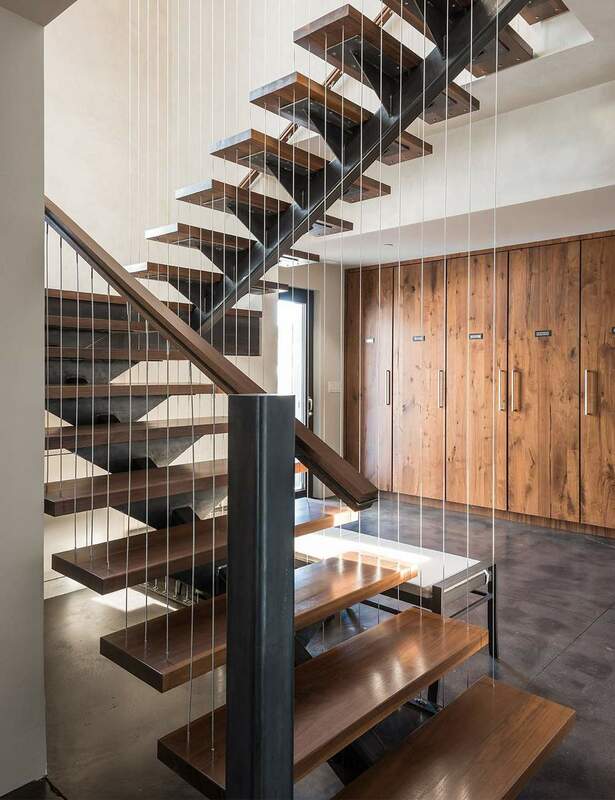 Love the open railings and modern materials mixed with more rustic woods. I'm usually a white-cabinet person but I love how unique this wood is -- and that they topped it with a white stone. 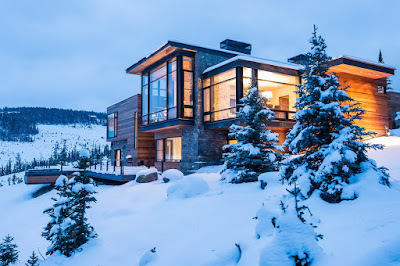 This would be a magical place to spend the winter holidays!